You may know that the GF is a Baltimore girl, true and through and though I have lived and loved other places, my hometown is near and dear to my heart. This morning as I was tuned into the Today show, I nearly choked on my coffee when I heard that the cast of the infamous “Jersey Shore” commands 10,000 per episode with two of the most ridiculous cast members- “The Situation” and Snooki commanding a rumored $45K. While there are SO many things wrong with the cast of the Jersey Shore garnering that much money, I started to consider what would a show about my fair city look like? Who would round out the cast of characters to create buzz, and allow them to demand ridiculously high salaries? Would we dedicate an entire episode to who has the best crabs, best chicken boxes, best Lake Trout? What would the content look like- and more importantly would it be real? 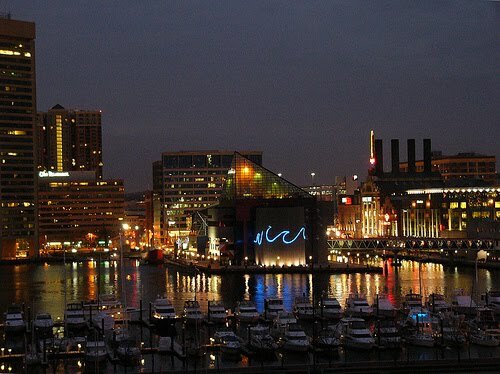 So many reality shows are scripted and cast within an inch of their lives; I would want a show about my hometown to be authentic with real people, real issues and in the words of my baby brother- showcasing the gift and the curse that is Baltimore.